Mark is a certified Siebel consultant (versions 5.5, 6 and 7) and has a wealth of experience in versions 3.1 through to 8.2, including OpenUI. He has worked on many horizontals (Sales, Service, Call Centre, Marketing, etc) as well as a number of verticals including Public Sector, Financial Services and eCommunciations. 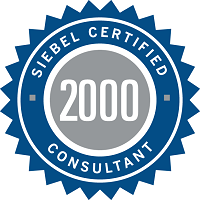 Mark has 28 years’ experience in systems development, with over 20 of those years in Siebel. 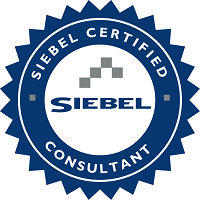 He has worked as Technical/Development lead on 15+ full life cycle projects, the majority of which were Siebel projects. He has led teams of up to 8 people from design through to development and implementation. Mark’s key strengths are in design and problem solving, as well as hands on development. He prides himself on producing high quality and robust deliverables, employing best practices and promoting the sharing of information amongst team members. 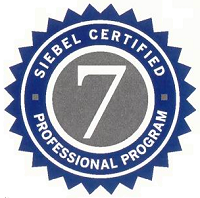 Mark’s extensive experience and knowledge of Siebel has often led to mentoring roles where he has taught junior team members not only how to build Siebel implementations but to do so effectively, following best practices throughout. Mark is also adept at dealing directly with the business, in discussing requirements and presenting solutions. Many of his previous roles have involved discussing requirements and solutions with business users in a non-technical/user friendly manner. Mark is also experienced in managing expectations based on resource availability and timescales, and achieving the balance between meeting the users needs and delivering an effective solution on time. Mark has worked in many industries including finance, public sector, manufacturing, pharmaceuticals, telecommunications, retail, banking, energy and publications. Technically Mark excels in most areas of Siebel development (general configuration, scripting, workflows, EAI, etc) and has worked extensively on developing integration of Excel with Siebel for loading data.